It’s about lunchtime the day after The Grammys. At this point, last night’s highs and lows have been examined ad nauseum, and we need some new musical shenanigans to talk about. 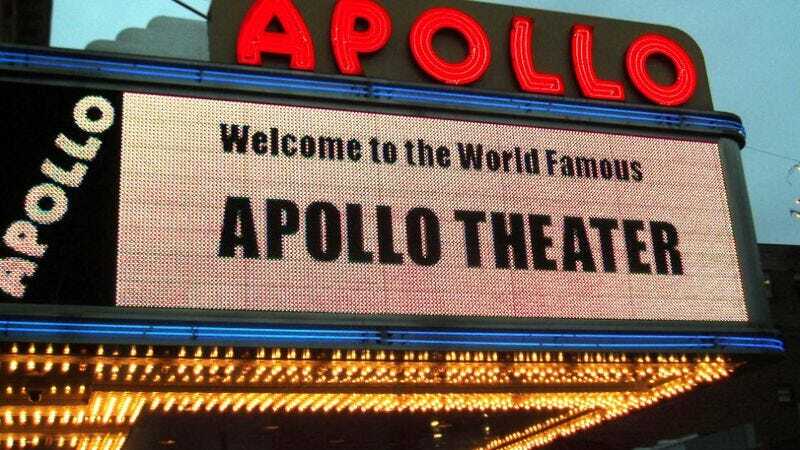 Well, yesterday also marked the 80th anniversary of the legendary Apollo Theater in Harlem, and the good folks over at Flavorwire were kind enough to scour YouTube for some classic performances at the famous venue and make a handy list. There’s Bill Bailey (the original moonwalker), The Supremes, James Brown, Bill Cosby, 13-year-old Lauryn Hill (who was booed, but stuck it out), and… John Lennon? If there’s a better way to take a break and decompress from Grammy fatigue, we can’t think of one.